Home 2019 April 8 Astrology gaining millennial’s allegiance? 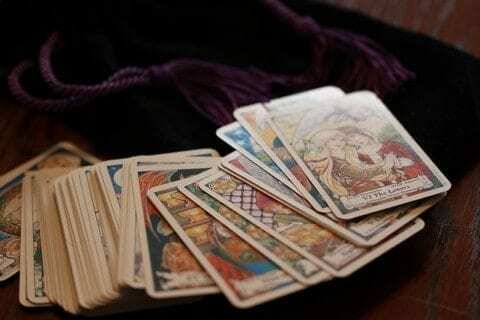 This generation has a fascination for subjects such as sorcery and horoscopes. A writer named Kari Paul talks of a survey showing “a growing detachment from institutional religion and notes that “more than half of young adults in the U.S. believe sociology is a science, compared to less than eight percent of the Chinese public.” Between the years 2011 and 2016, the “psychic services industry” grew 2%. The psychic services industry includes specific aspects to Astrology and that industry, such as aura reading, mediumship, tarot-card reading and palmistry. (This statistic is from 2017) Banu Guler, creator of the app Co-Star, said that when he launched the app in October of 2017, the site crashed three times in the first week due to its popularity. Co-Star is an app that uses NASA data and also a team of specialists to create personalized horoscopes for the user. Astrology today has become very commercialized. Astrology gaining millennial’s allegiance? by Oakley is licensed under a Creative Commons Attribution-ShareAlike 4.0 International License. This surprised me, since I don’t really know anyone who earnestly believes in astrology. I wonder why our generation likes it so much, especially compared with other countries. This is very interesting. I would like to hear more about why our generation is so infatuated with this type of stuff.